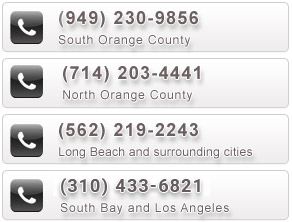 To ask a question, to obtain an estimate, or to schedule a pick-up, simply call us. We answer calls 7 days per week 7am to 7pm. Will you pick-up a single items? Do you pickup electronics (also known as “E-waste”)? Do you pickup paint and other hazardous materials? Do you perform trash-outs for foreclosed properties and tenant evictions? Can you take my kids too? What is the strangest thing you have ever picked up from a customer? Do you provide dumpsters or roll-off containers? Can I drop off items or materials at your facilities? Do you accept aluminum cans for recycling? Question: Do you charge for your service? Answer: Yes. We have to charge our customers because we provide a valuable service and we incur costs such as our labor costs, vehicle costs (fuel, insurance, and repairs), disposal fees at the dump, and administrative costs. You can get a firm quote by simply calling either of the phone numbers provided at the top of this page. Question: Will you pick-up a single items? Answer: Yes. Most of the jobs we perform are much smaller than a full load. We often pickup just a single item from a customer. For example, we often pickup a single arm chair or couch, television or refrigerator, or just a small pile of cardboard, debris, or dirt. Honestly, no job is too small. Question: Do you donate items? Answer: We do deliver items to local charities such as Goodwill and Salvation Army if a customer requests it. However, these charities have become increasingly “picky” when it comes to the quality of the goods they will accept. In fact, many of our customer call us because the Goodwill or Salvation Army would not accept their items for donation. Answer: Yes. We recycle as much junk and trash as possible. In fact, we love recycling because it save us money by reducing our dumping costs. All of the household appliances and electronics we pickup, most construction materials (including wood and broken concrete from demolition), cardboard boxes, and any green waste we receive is recycled. Question: Do you pickup electronics (also known as “E-waste”)? Answer: Yes. We do pickup electronics. We can pick up a single item such as an old television at a residence, or we can remove and dispose of the old and unwanted computers and monitors from a entire business. Question: Do you pickup paint and other hazardous materials? Answer: No. We do not accept paints, stains, varnishes, paint thinners or solvents. We also cannot accept any oils, fuels, fertilizers or chemicals. We will gladly provide information telling you where you can legally, and free of charge, dispose of your paints and other hazardous items. Just call us or ask our driver once he is at your location. Question: Do you carry insurance? Answer: Yes. We carry $1,000,000 of general liability insurance, $1,000,000 of workers compensation insurance, and $1,000,000 of commercial automobile insurance. Our insurance protects not only us, but also protects our customers, in the event that something goes wrong during the performance of a job. Be aware, our competitors almost always do not carry adequate (if any at all) insurance. We do things the right way, and that’s why we are still here and still making our customer’s happy! Question: Do you perform trash-outs for foreclosed properties and tenant evictions? Answer: Yes. We perform complete trash-outs for realtors, real estate investors, and property managers frequently. Call us to schedule a viewing so we can quote your job. Question: How big is your truck? Answer: Our truck is larger than what many of our competitors use. We can take up to 20 cubic yards of materials in one load and we can also take wooden beams or metal poles measuring up to 18 feet long. However, most of the jobs we perform are much smaller than a full load. We often pickup just a single item from a customer. For example, we often pickup a single arm chair or couch, television or refrigerator, or just a small pile of debris, concrete, rocks, or dirt. Honestly, no job is too small. Question: Can you take my kids too? Answer: Sorry! Believe it or not, customers ask us that all the time...and we assume they are joking. Question: Do you perform demolition? Answer: We do have the expertise and ability to perform smaller demolition projects. For example, a Jacuzzi removal takes us from 2-3 hours. A patio cover removal requires from 3-6 hours. But generally, we load and haul-away debris that a contractor or homeowner has already demolition before we arrive. If you call and describe the project, we can provide a price quote for your demolition job. We have relationships with handymen and contractors and, if necessary, we can bring those tradesmen in to assist with the project. Answer: Every job we do is different. The most important factor in determining the cost is the size of the load to be picked up. The cost to have us pick up a single couch is less that the cost for us to pick up a couch, love seat, and reclining chair. We also pay attention to the weight of your materials. The cost will be slightly higher if the items or materials are unusually heavy. Most remodeling debris, concrete, broken tiles, and dirt loads tends to be relatively heavy. The weight of your items or materials is important because heavy items require more muscle power and labor time, and also result in much higher dump fees when we dispose of items or materials. Question: What is the strangest thing you have ever picked up from a customer? Answer: We have seen it all. Nothing surprises us anymore, so don’t be embarrassed by your junk and trash. And since you’re wondering, the strangest thing we’ve ever picked up was a giant, electric-powered horse that danced while smoking a cigar. Question: Do you provide dumpsters or roll-off containers? Answer: No. Our service goes beyond the service of a dumpster company because our employees provide the labor to lift, carry, and load the your items or materials. We provide a quicker, more convenient, full-service option for having your debris, junk, or trash removed from your home, office. Question: Can I drop off items or materials at your facilities? Answer: No. We do not accept items for drop-off at our facility. Our business is designed so that you don’t have to lift, carry, load, and unload your items or materials. We come to you at a time that is convenient for you, and we perform all the work so that you don’t have to worry about getting dirty or injuring yourself. Sure, you might be able to drag that 60-inch projection television down your staircase and stuff it into your Ford Mustang, but it might just be a better decision to have our team do it. Question: Do you accept aluminum cans for recycling? Answer: Sorry. We do not buy aluminum cans or recyclable plastic bottles from the public. But we salute you for your efforts and we can direct you to the nearest recycling center if you don’t know where one is. Answer: We try very hard to keep a fun and friendly atmosphere for our team members. Because of that, we don’t have high employee turnover. However, call us and leave your name and phone number with our operator. We do keep a list of interested candidates. When an opening becomes available, we do contact those individuals who inquired. Question: Do you serve my area? Answer: Most likely, we do. Scroll up to the top to view our service area city list. When you call us for a quote, we will ask you a few simple questions to help us determine the price for your job. Thank you for taking the time to learn more about Reliable Haul-away. We always appreciate the opportunity to earn your business. Click here to go to our “Get an Estimate” page.